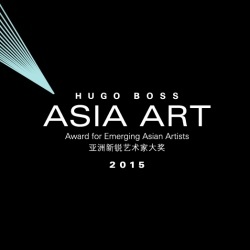 HUGO BOSS ASIA ART is a biannual award organized by Rockbund Art Museum in Shanghai in collaboration with the international fashion brand HUGO BOSS. Launchedin 2013, the Award is part of the HUGO BOSS global art projects which include the prestigious HUGO BOSS PRIZE at the Solomon Guggenheim Museum in New York, but is dedicated to honor emerging contemporary artists in Asia. In 2015, the second edition of the Award extends its focus from greater China to Southeast Asia, where 6 artists from this area are selected in the finalist and will be featured in a group exhibition at the Rockbund Art Museum to open on 30 October, 2015. 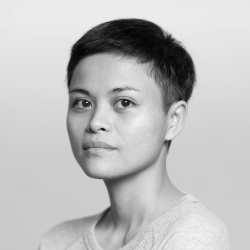 As one of the finalist artists, Maria Taniguchi has been at the forefront of contemporary art exploration both at home and internationally. However, being selected in the finalist of the Award, a new framework for viewing her work may be enabled where she is set in dialogue with her peers from Mainland China, Cambodia, Taiwan and Myanmar. This talk, with introductions of the Award and a survey of Taniguchi’s work, will open discussions on the common and different challenges of contemporary art in this area, local and international art ecology, as well as the artist’sresponses to them. This talk is co-organized by Rockbund Art Museum in Shanghai and the Museum of Contemporary Art and Design in Manila.